The University of Liverpool, supported by a £7milllion investment, will establish a new Centre for Doctoral Training (CDT) to empower the next generation of data science leaders. 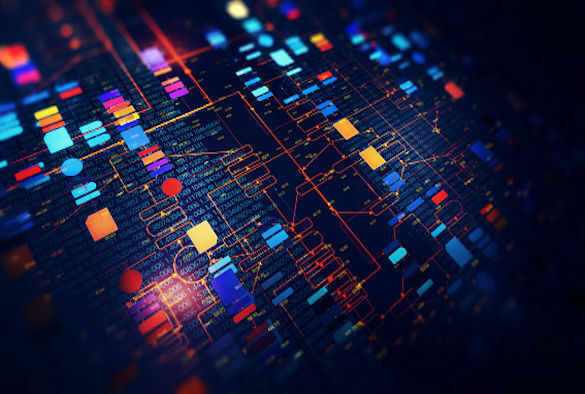 Funded by the Engineering and Physical Sciences Research Council (EPSRC), the University and partners, the CDT in Distributed Algorithms will equip 60 PhD students with the skills and knowledge to design the future algorithm solutions needed to solve pressing industrial problems. The CDT in Distributed Algorithms is led by the University with support from the Science and Technology Facilities Council’s Hartree Centre who will provide training, access to state of the art computing platforms and joint project supervision. Other partners are key organisations in the manufacturing, defence and security sectors, where next-generation data science can make most of a difference. These partners include Dstl, GCHQ, Unilever and IBM Research, who recently signed a joint study agreement with the University. Partner organisations will co-supervise projects and provide the real-world problems, benchmarks and data that will help the PhD students flourish. Professor of Autonomous System, Simon Maskell from the University’s School of Electrical Engineering Electronics and Computer Science is the lead academic for the new Centre. He said: “There is a huge demand and pressing need for highly qualified data scientists to work in all areas of industry. The Distributed Algorithm CDT provides a unique opportunity for the UK, and the world, to train the next generation of data scientists such that they can exploit tomorrow’s computational resources to harvest the new ‘oil’ –the information hidden in data. “We will provide students with the training and experience they need to both understand the design of future computer hardware and understand how to flex the algorithmic solutions to best exploit future computational resources. Robin Pinning, Chief Technology Officer at the STFC Hartree Centre, said: “We’re thrilled to be supporting the Distributed Algorithm CDT, which will provide an exciting opportunity for young people to develop the computational and data skills required to design the future of UK industry. A total of £444million has been invested by the Engineering and Physical Sciences Research Council, which is part of UK Research and Innovation (UKRI), to support 75 new CDTs across the UK providing the next generation of doctoral level researchers across the breadth of the engineering and physical sciences landscape. The CDTs were announced at a launch event held at the London Stock Exchange. To find out more about the Centre for Doctoral Training in Distributed Algorithms, please visit this webpage. The University of Liverpool’s has significant strengths and capability in digital research contributing solutions to societal and industrial challenges through the generation, communication and application of data.